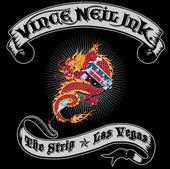 VINCE NEIL and CARNIVAL CRUISE LINES invite you to take a ride on the Wild Side and board the newly renovated Imagination for a 4-day rock & roll vacation filled with music, fun and sun - and of course plenty of Girls Girls Girls! Departing from Miami on January 24, 2008, we'll set sail for the Mayan Riviera, stopping by Key West, before making our way to Cozumel, Mexico! 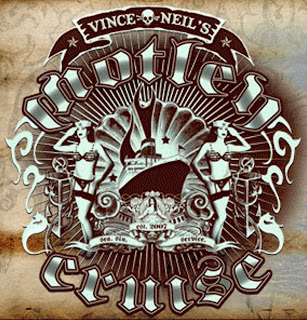 VINCE NEIL'S MOTLEY CRUISE in 2008 will feature intimate on board concerts by VINCE NEIL and his band, RATT, SKID ROW, SLAUGHTER, LYNAM, ENDEVERAFTER and more! We'll have an array of exclusive events, including meet and greets with the artists, wet and wild shore excursions in Key West and Mexico, a no-limit Texas Hold'Em charity poker tournament (big cash prize), and our one-of-a-kind live charity auction benefiting Vince's Skylar Neil Memorial Foundation, just to name a few! All of this takes place on board a Carnival Fun Ship cruise with non-stop entertainment, fine dining and 24-hour room service, lively casinos, extensive decks and beautiful swimming pools, spa, gym and other great amenities. Add your special Motley Cruise Survial Kit and the comfort of our nightly private lounge, and we're sure you won't go away mad!